Yes, it sure is hot. This is our third spell like this this season. Normally we only get one spell approaching this every few years. And we haven't even reached the time of the year that we expect to be the hottest. The climate change forecasts have been precisely correct. We are just leaving the sun spot cool cycle and entering the warmer drier cycle so what it will be like down here in summer in another 5 years doesn't bear thinking about. We have been getting low 20's to the occasional day just over 30C with cool sea breezes almost daily. Just about perfect for people. But we are normally a high rainfall area over summer. We have had three very dry winters in a row, this last one the driest. Now we are going through what seems to be the driest summer that I can remember. Our dam is usually full by Christmas but did not get there this year and we have only had a little light rain since, not enough to run off. Another dry winter will not go down well. Luckily I don't have to rely on farming for a living. What is going on out west from here does not bear thinking about, I think we must be in for a motza of a drought. It could be cyclical but if it is that then it surely is a bad cycle, but there is no doubt in my mind also that climate change has its sticky fingers all over it. (Brightens) there is a cyclone approaching North Queensland - I hope it spares them the destruction but the tail end brings us some needed rain. I wish you well with the rain. If you have any left over that you could send a little further south it would be appreciated. The temperature at our house (and we are a bit cooler being up in the hills) didn't fall below 32c last night. It is now 10.30 am and it is 39c. I'll bet it goes over the forecast 43. The overall pattern stills seems to be cycical and directly connected to the sunspot cycle. The trouble is that the cooler year cycle is now considerably warmer than it used to be and the warmer/drier cycle that we are now entering looks hotter and drier than the previous warm cycles used to be. ie, the underpinning causes of the cycles remains but other factors are now adding on top of that cycle. The real fear is the potential for bushfires with strong winds forecast for tomorrow. I have lived in the western district of Victoria and I will worry for you and hope that you are delivered from the bushfire menace. Up here we are generally too wet for really serious bushfires but this year they are closer to reality than they have ever been before. Not to say we don't get fires but they have never done much serious property/life damage in my memory. re: pls. note that was 15 consecutive frames at 8 FPS = almost exactly 2 secs. Re: re: pls. note that was 15 consecutive frames at 8 FPS = almost exactly 2 secs. NEX CDAF is now 5th best in the mirrorless world. Tom: the Pana GM1 ?? Re: Tom: the Pana GM1 ?? 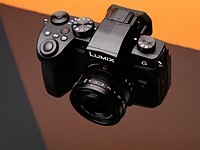 re: the Nex-7 mk-II to be announced on Feb 12th ?? Re: re: the Nex-7 mk-II to be announced on Feb 12th ?? 9 What's the best Autofocus Mode and Area for Landscape? 4 Is it safe to remove an electronic lens from the A6300 while power is on?